A helicopter door gunnery simulation using virtual reality (VR), a high-fidelity CV9040 part task trainer for the Swedish Armed Forces, as well as an artificial intelligence creation toolkit, are just some of the innovations Bohemia Interactive Simulations (BISim) will be showcasing at ITEC in Rotterdam this week. Most of the innovations are designed to “supercharge” BISim’s Virtual Battlespace 3 (VBS3) platform. BISim’s main demonstration at ITEC is the helicopter door gunnery simulation, developed in conjunction with Cursive Simulation. Using VBS3 and its VR capabilities, the demonstration will showcase VBS3’s flexibility to simulate all elements of the training environment, from blades of grass, to entity behaviours, to the gunner’s eye view. BISim is also working on a high-fidelity trainer in VBS3 for the Swedish Armed Forces, recreating the systems of the CV9040 vehicle down to the last detail, giving gunners and commanders the capability to turn knobs, toggle dials and flip switches as they behave in the actual vehicle. The work also involves more accurate penetration and damage models, as well as turret behaviours. While the work is specific to the Swedish Armed Forces, BISim developers can recreate similar complex systems in VBS when requested by customers. ITEC will also see a showcase of VBS Blue, which uses global data sources to produce geographically accurate terrain. In other ITEC news, training and simulation provider Rockwell-Collins will demonstrate high-end visual solutions, as well as its Coalescence mixed-reality training system for air, land and sea domains, which enables trainees to interact with items in their actual environment while still being immersed in a virtual-reality environment, for higher learning and engagement. Coalescence can connect via Rockwell Collins’ live, virtual and constructive technologies and perform scenarios with other training components around the world. ITEC takes place at Rotterdam Ahoy from the 16 to 18 May. In other training and simulations news, at SOFIC 2017 in Tampa Florida from 15 May to the 18 May, Systems Technology Inc. will demonstrate the newest version of its VR-based parachute training simulator, PARASIM, which leverages high-fidelity virtual environments generated by TerraTools from TerraSim; rendered by VBS3. 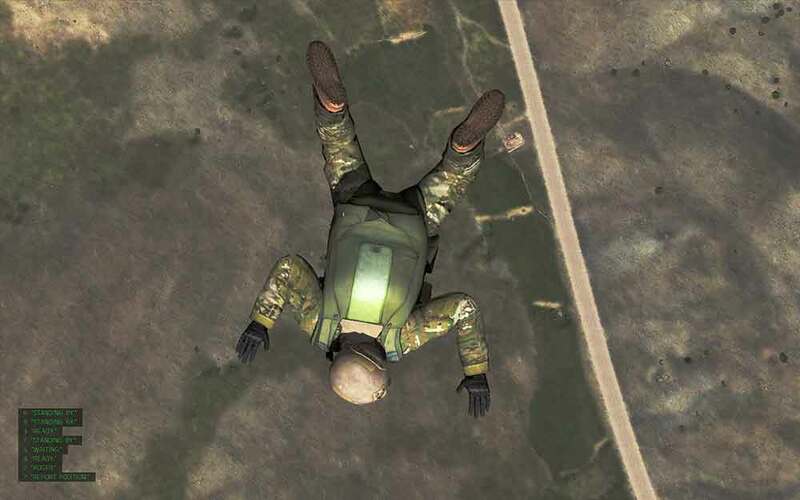 PARASIM is a virtual reality parachute training simulator, that provides a safe and cost-effective way for paratroopers to hone skills and plan missions before taking to the air. Around 400 PARASIM simulators have been sold worldwide and the system is used by the US Army, Navy, Air Force and Marines for both premeditated airborne operations and for emergency bailout and ejection training. PARASIM enables jumpers to conduct procedural and safety training. It also allows jumpers to learn procedures for multiple chute malfunctions.